I know I do. This could be a very sticky situation. 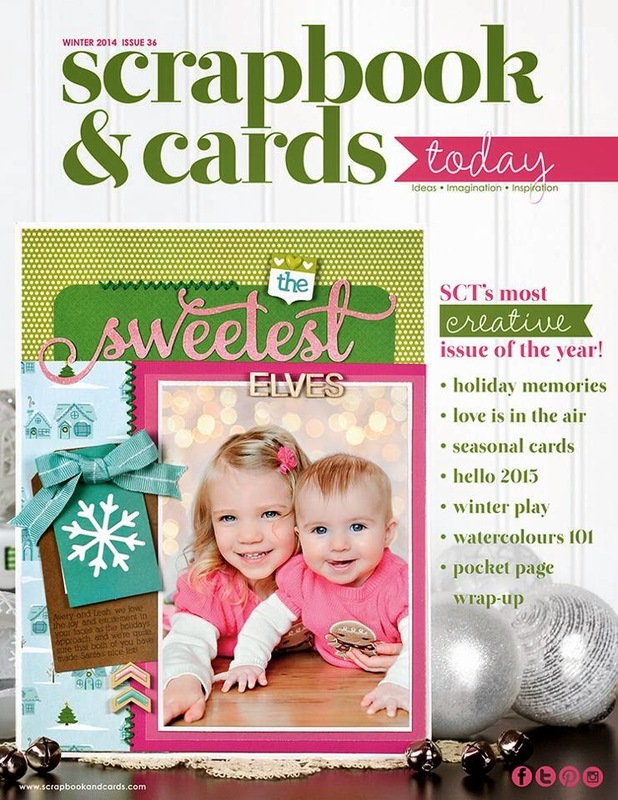 Every Wednesday, Canadian Scrapbooker Magazine has a contest called "Why Not Win Wednesdays". All you have to do is comment on the prize that they are giving away from a sponsor for that week and they do a random draw. 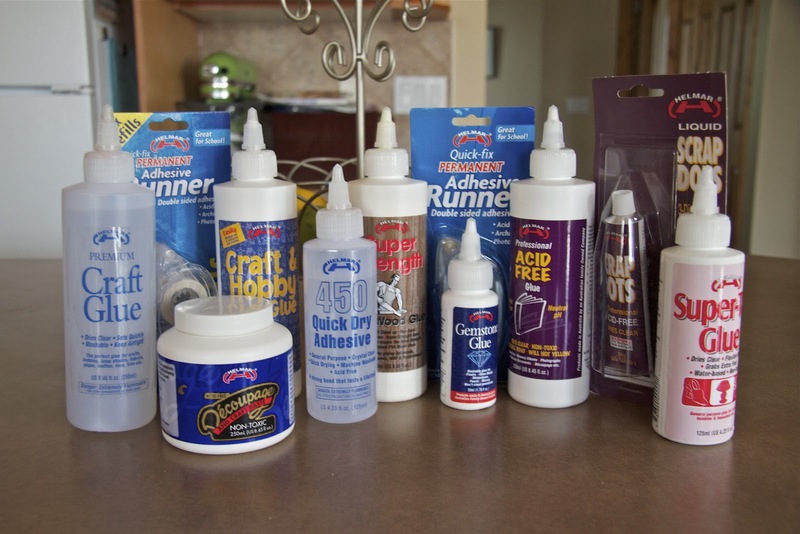 On this particular week, Helmar, an Australian company that makes fantastic adhesives for scrapbooking, crafts and hardware had a wonderful prize pack of all sorts of adhesive goodies and guess who is the proud winner? 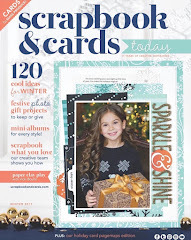 I can't tell you enough how much I love their Liquid Scrap Dots and the 450 adhesive for my scrapbooking and paper crafting projects. It's going to be so fun to try all the other goodies and I have total faith that they stand by their products 100%. 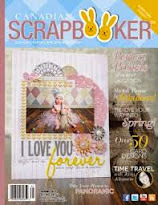 So I want to thank Canadian Scrapbooker Magazine for this. 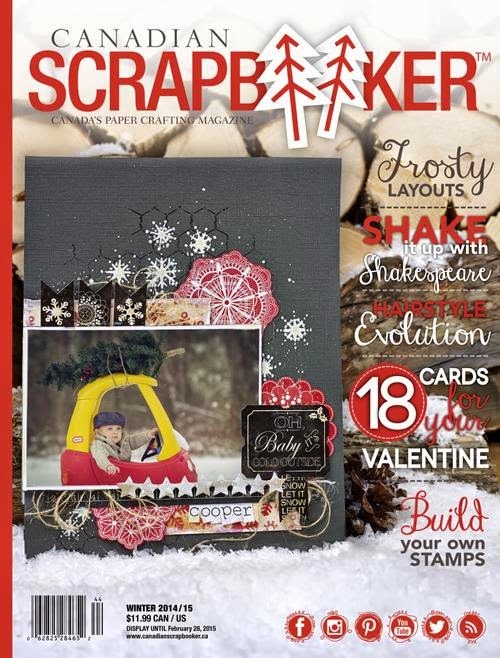 You guys are so awesome and I'm so proud to be a Canadian scrapbooker and also Helmar for making such wonderful products! Hope everyone had a good weekend. I love May in western Canada! The trees are blooming with beautiful pink and white blossoms and the air smells wonderful with the scent of Mayday trees. The grass is nice and green and I'm looking forward to getting outside and doing some gardening and planting my flowers. It also makes me think of summer vacation and my son's school getting out for summer break in a month. Today the Scrapbook Challenges sketch is nice and simple and I love the simplicity. 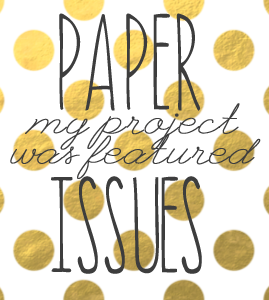 As always, there is a choice of a one page layout sketch or a two page layout sketch. Sometimes it nice to have the flexibility and to challenge yourself and get out of your comfort zone. 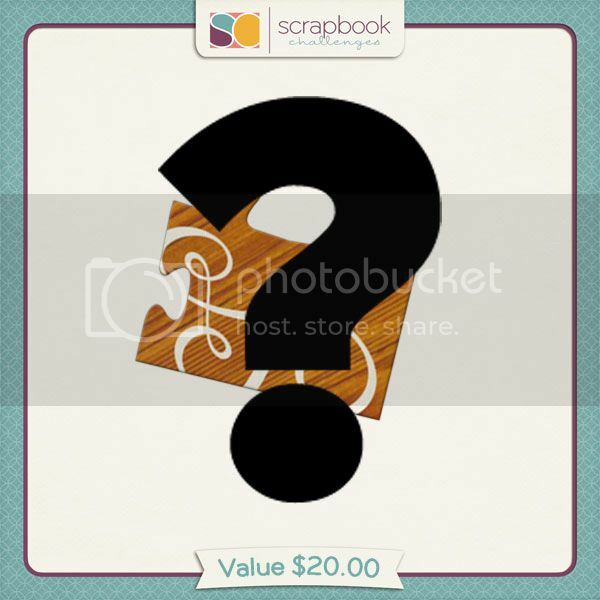 Have fun and play along with us. 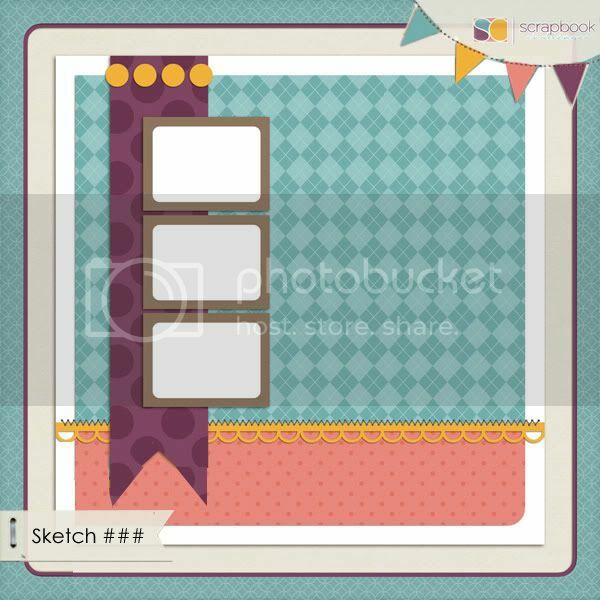 The forum thread is Sketch #297 at Scrapbook Challenges and also upload to our gallery in either digital, hybrid or traditional scrapbooking and you could be considered for Layout Of The Week! Today is the day that Sketch #152 is revealed over at Twisted Sketches. The twist on the sketch is "Mom". 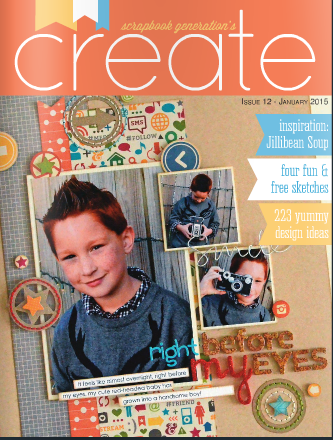 I chose to do a layout of my son when he was nine years old. Isn't he a cutie? He always was my guinea pig for new smoothie recipes that I would try. His favourite smoothie that he loves is orange juice, vanilla yogurt, strawberries, blueberries and raspberries. I make this for him often and love this time of year when the berries are in season. Hope you have a wonderful day and play along with the sketch. 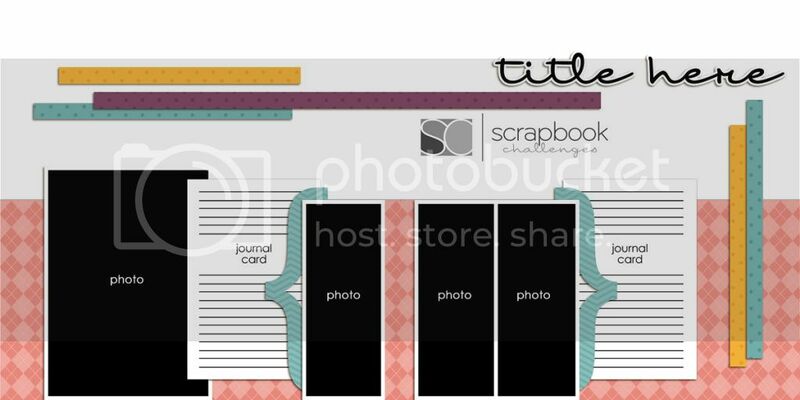 Today at Scrapbook Sketches we have a nice simple sketch. Sometimes I love the simplicity. Yes I like to play in the kitchen as well. I'm always up to finding a new recipe and I love cooking brunch on Sundays. Hope you enjoy the sketch. 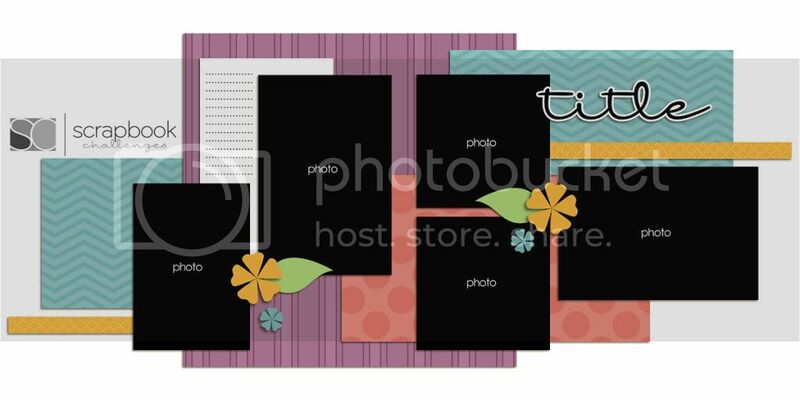 and if you are feeling like you want to do a double page layout we have that covered as well. 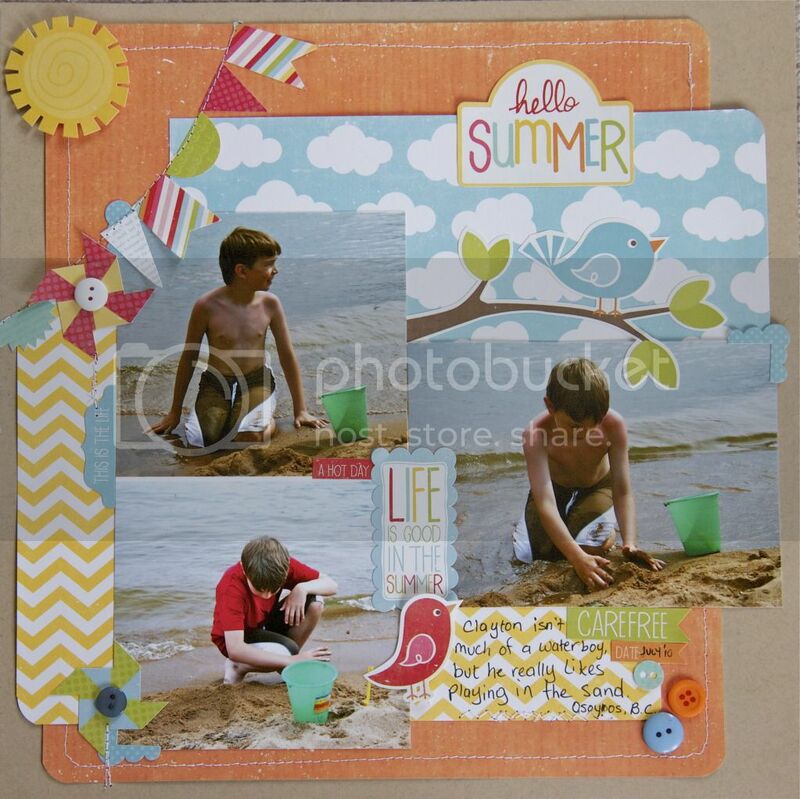 You can upload it to Scrapbook Challenges Forum Thread Sketch #296 for even more fun. 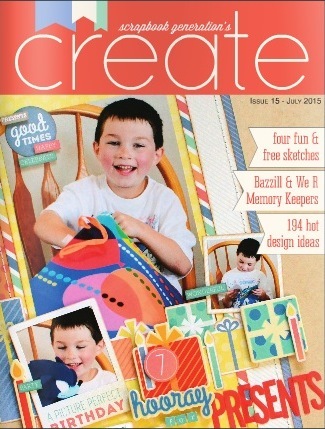 We love to see what everyone creates. Happy Monday! I hope everyone that is a mother had a Happy Mother's Day yesterday. It was a very quiet day for me as I just celebrated it with my twelve year old son. He was very sweet and made me breakfast yesterday and brought me water and cold drinks all day while I scrapbooked. I feel very blessed to have him. My husband was working away and my two married children live three hours away so they weren't here to celebrate it with me. Even my own mother was away! 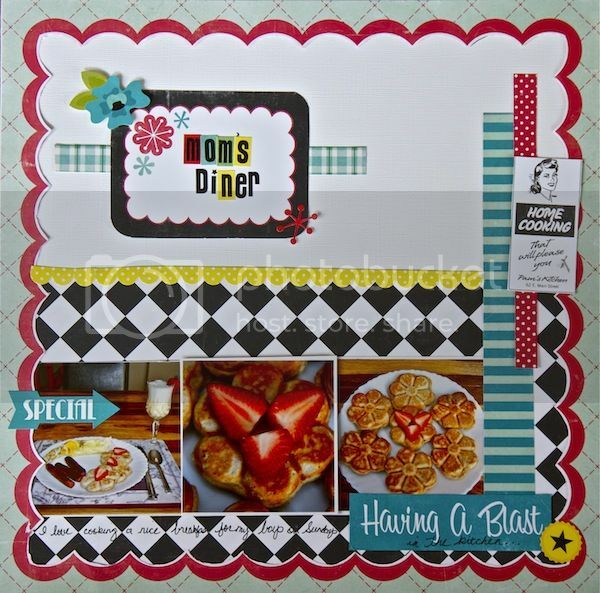 Since it was Mother's Day, I thought I would create a layout of myself as a mom and wife. 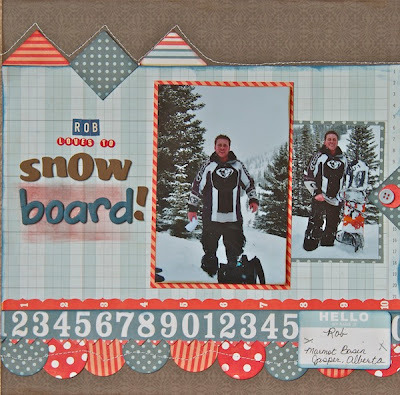 It is weird scrapbooking about myself, but my children need some for their albums. Have fun with the sketch and play along and upload it to Scrapbook Challenges Sketch #295 forum thread and the Scrapbook Challenges gallery. You might win the Gallery Gem Award for the week! 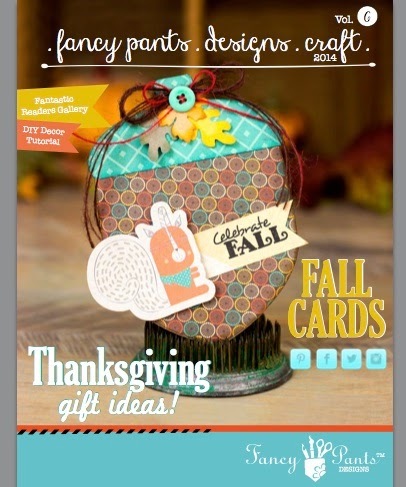 Every Wednesday on Twisted Sketches our two layout design teams showcase their take on a sketch. This week it is Team A, which is my team. 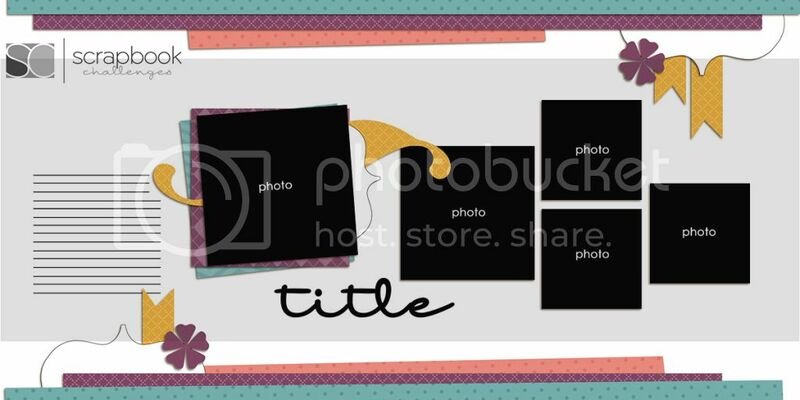 I created a layout on Baby Hanna. My daughter and my son-in-law have the privilege of being an auntie and uncle to this beautiful little baby girl. Isn't she a sweetie? 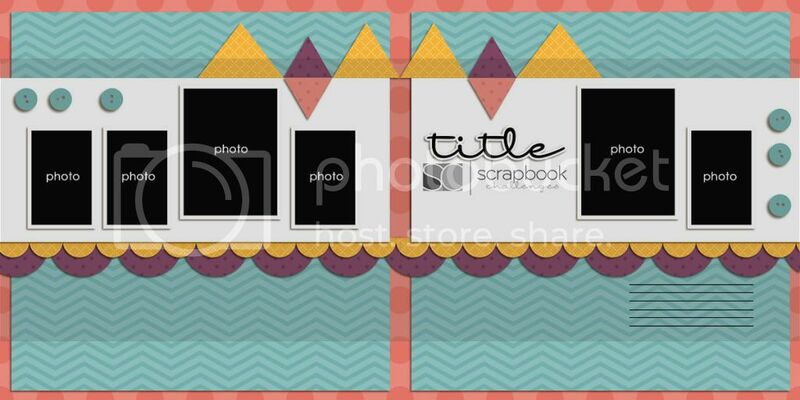 She is 2 weeks old in this layout. 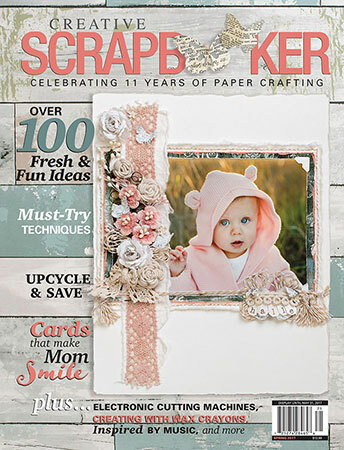 It was fun to do a baby girl layout as I haven't done a baby layout for years and am loving the papers for babies right now. This one is from the Baby Girl Collection by Bella Blvd. I created the cupcake by folding the paper like a cupcake liner and adding buttons to the top of the cake. 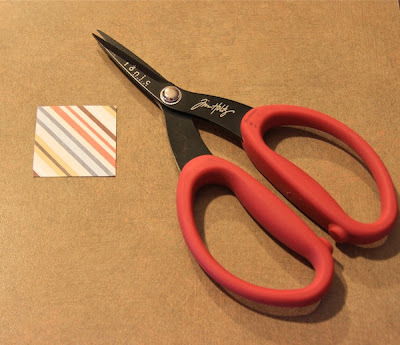 I also cut strips of paper and stitched around the background of the layout. You can see the sketch I used here. 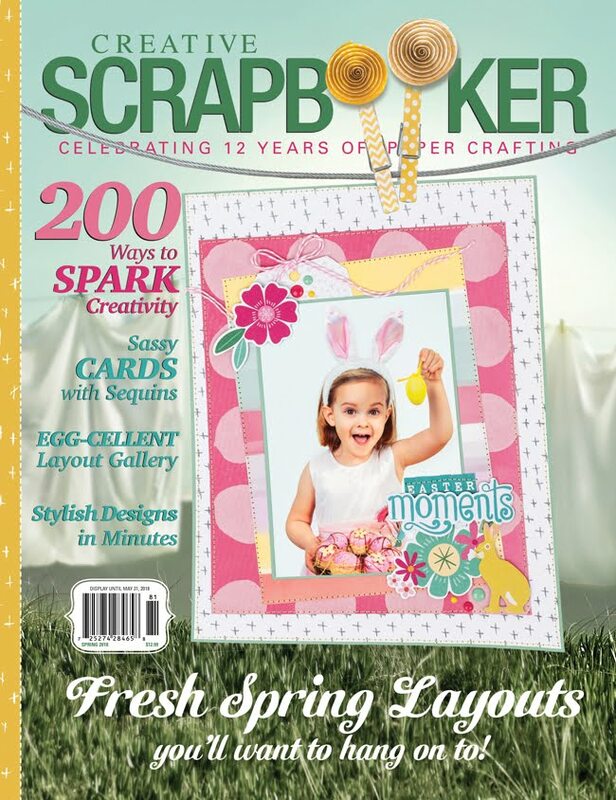 I hope you had a good National Scrapbook Day. 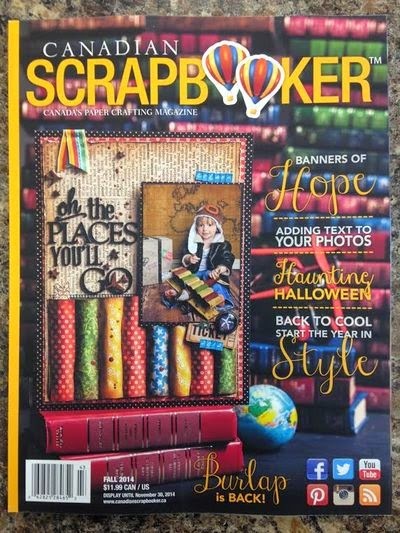 I think it is safe to say International Scrapbook Day. 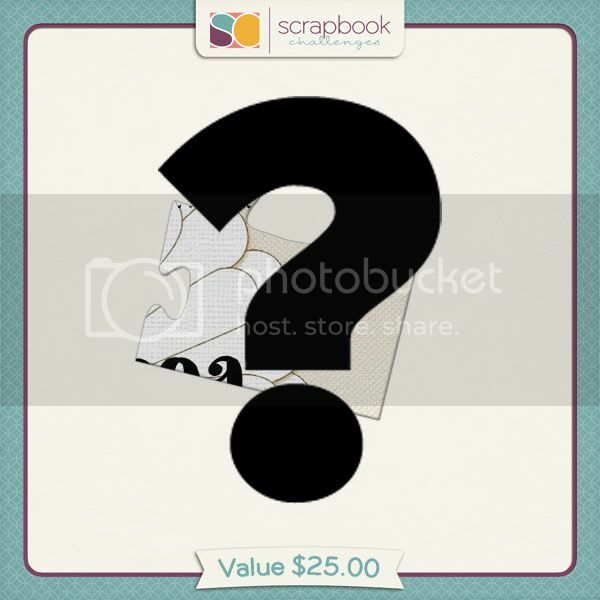 Today a new sketch is revealed at Scrapbook Challenges and somebody I know designed the single page sketch (wink, wink). I absolutely love how my fellow design team members interpreted the sketch. 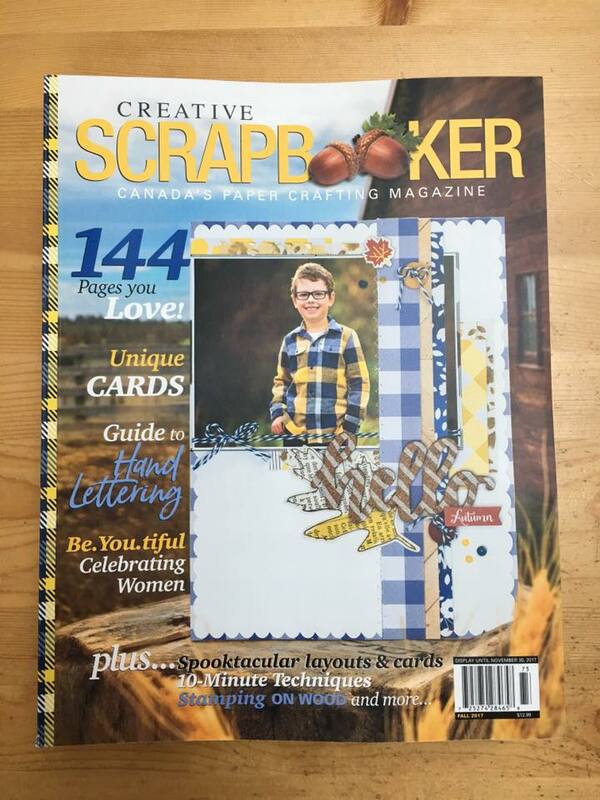 I chose to do a single page layout and since I am continually working on my three children's albums of their lives, I thought it was time to create a layout on my wonderful son-in-law. I really, truly love my son-in-law. He is such a sweetheart and I feel very blessed that my daughter has found such a great guy. He is very family oriented, gentle, affectionate, hardworking and extremely talented. Rob has a wonderful sense of balance and he recently took a trip with my own son Brandon for a ski trip. So glad my adult kids all hang out together and spend time having some fun. He has no fear. He said that in his single days he tried heli snowboarding so yes my daughter needs to worry. Hahaha! Let's just say she is glad he sold his street bike. 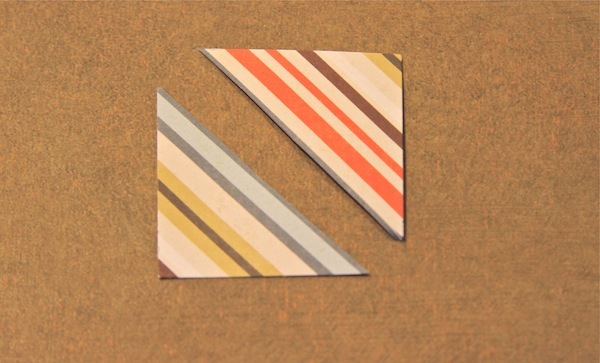 Echo Park always has such great paper collections. 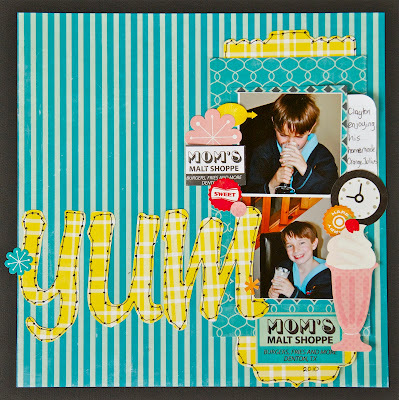 I chose the "Note To Self" collection for this layout. So there you have it. 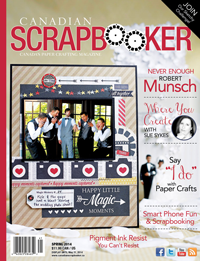 Take some time out of your busy week and scrapbook. It's so good for the soul. 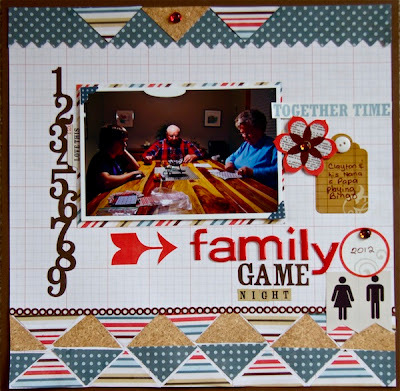 This past weekend was (Inter) National Scrapbook Day and there was a blog hop over at Scrapbook Challenges where the design team members created a layout from a sketch and then there was a puzzle created. 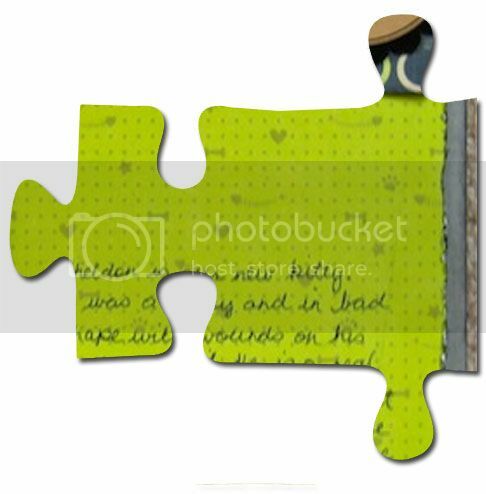 Each design team member revealed their layout in one small puzzle piece and the participants had to put all the puzzle piece together to come up with the sketch. 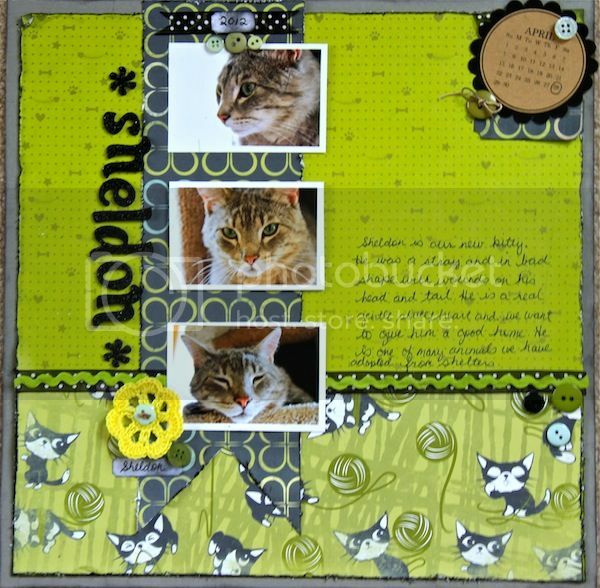 I created a layout of my new cat Sheldon. I named him after Sheldon on the sitcom "The Big Bang Theory" I adopted from our local animal shelter. He was in poor shape when he was brought to the shelter as a stray with an access on his head. He had tubes draining the fluid on his head and many antibiotics but after two weeks his health was improving and he was available for adoption. Isn't he handsome? He is really affectionate and has a very laid back personality. My older cat Asia is not impressed. She is 13 years old and loved the peace and quiet. Sheldon definitely livens up the household. 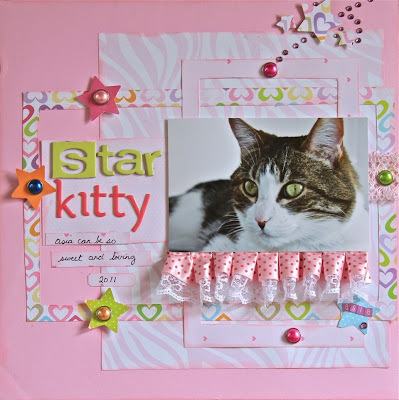 Pets deserve their fifteen minutes of fame and they truly deserve their own scrapbook album. 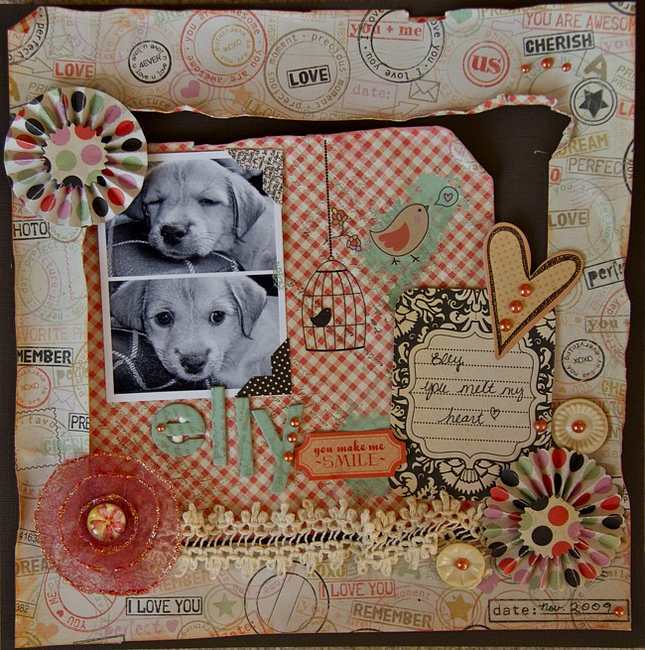 There are so many cute patterned papers and embellishments designed for our furry friends. Here are a few layouts of my furry friends. 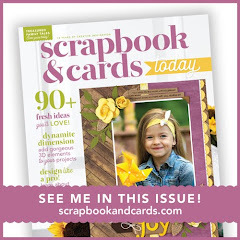 I challenge you to scrapbook your furry friends. Have a great day! 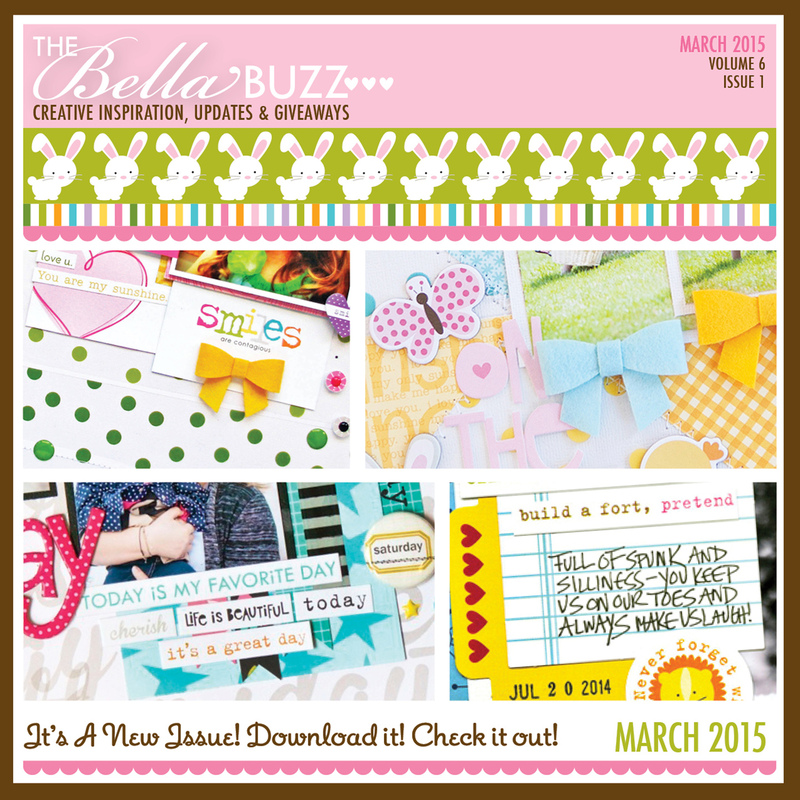 I hope you are enjoying the blog hop so far. 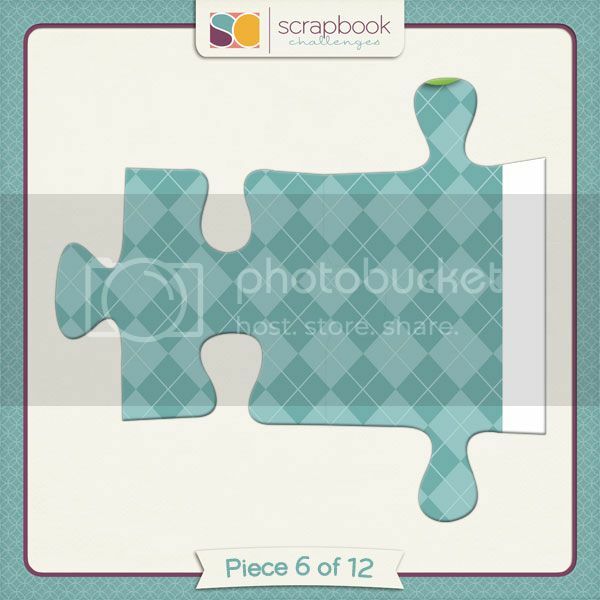 You will need to visit each name in the hop to collect a piece of the sketch, put the puzzle together and then create a layout using what you get. The full sketch will be revealed at the end of the weekend. If all went well, you should have arrived here from the lovely and talented Chanell. 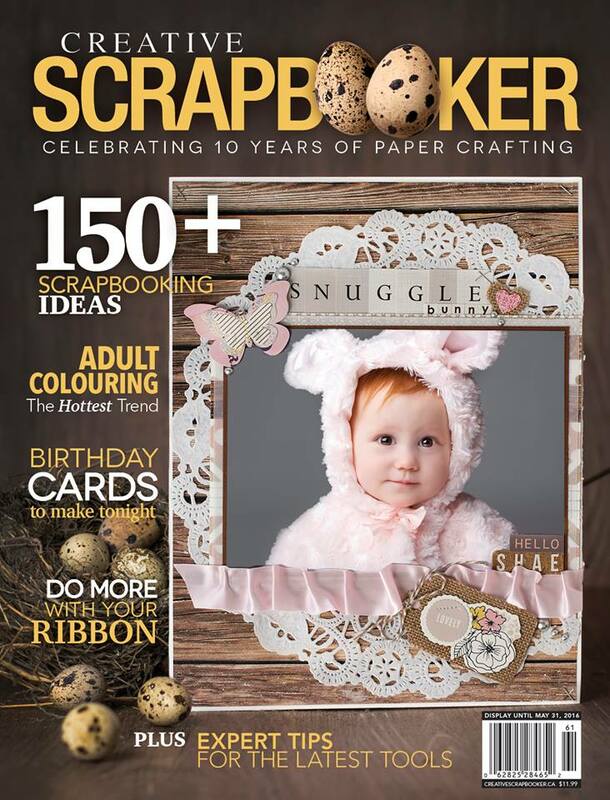 If you have got lost somewhere along the way, you can head on back to the Scrapbook Challenges blog. We are an international team so there are time zone differences so if some of the blogs are not posted, please be patient and try again later. To help you out, below are all the links to the hop in the proper order. 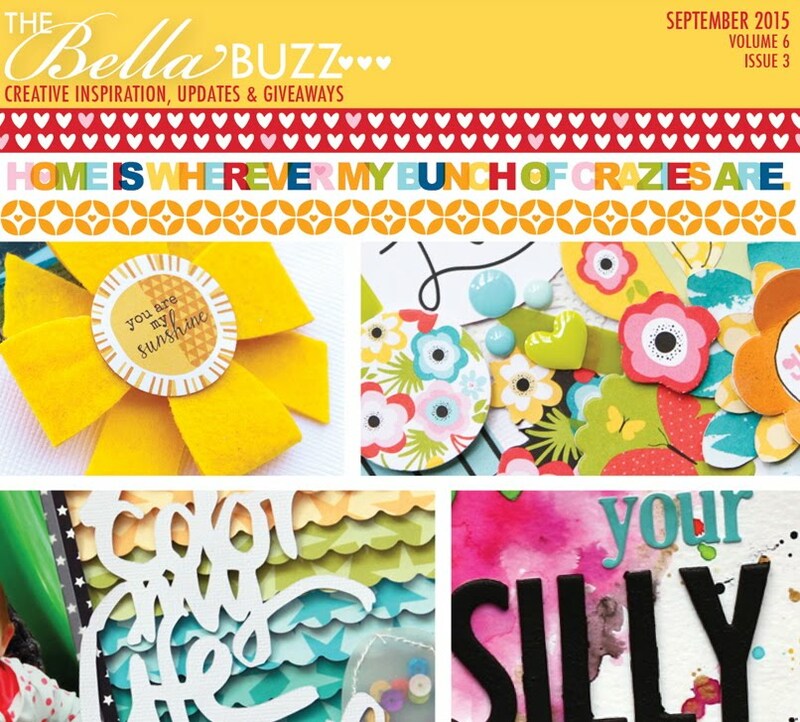 We have some prizes to give away if you participate in the blog hop. 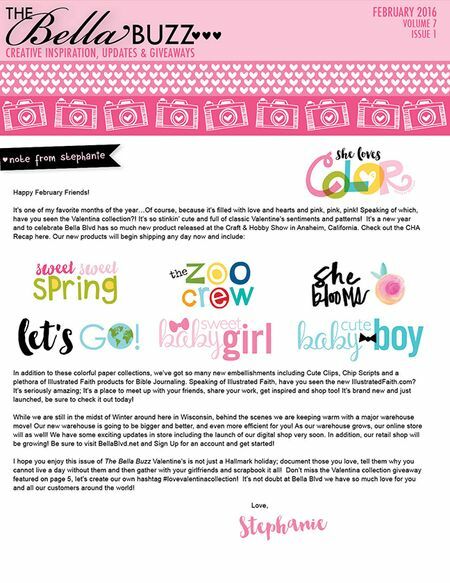 Don't forget to leave a comment on each of the blogs to be eligible for a prize and I would also love it if you would consider following my blog. The next lady on the blog hop is the sweet and talented Lauri. Thanks for stopping by. Good luck but most of all have fun! 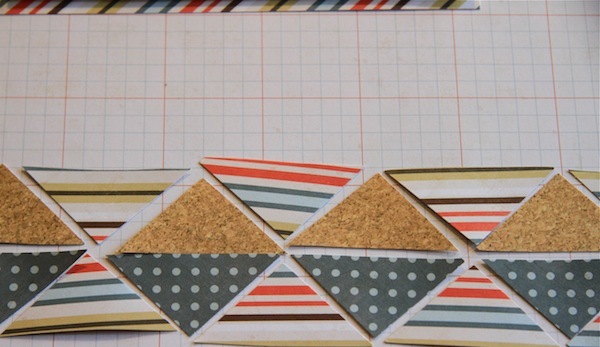 Triangles are very popular at the moment in the scrapbooking world. Today I created a layout using a square punch to make triangles. 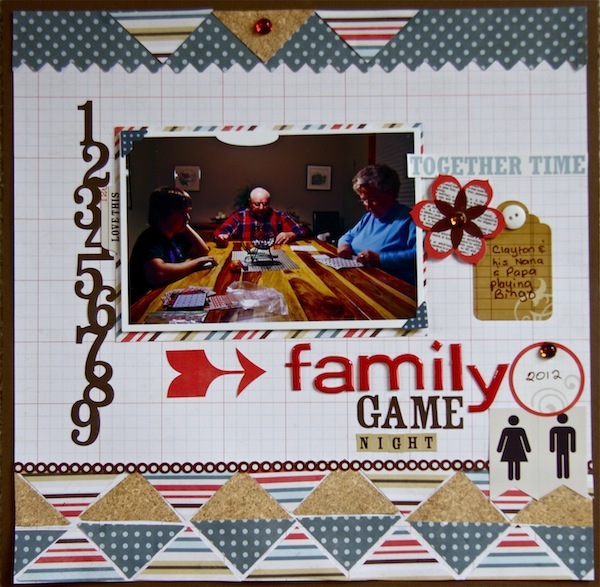 and I finished the design with another border punch on the top of the layout and added three more triangles to direct the eye to the photo and this is what I ended up with. 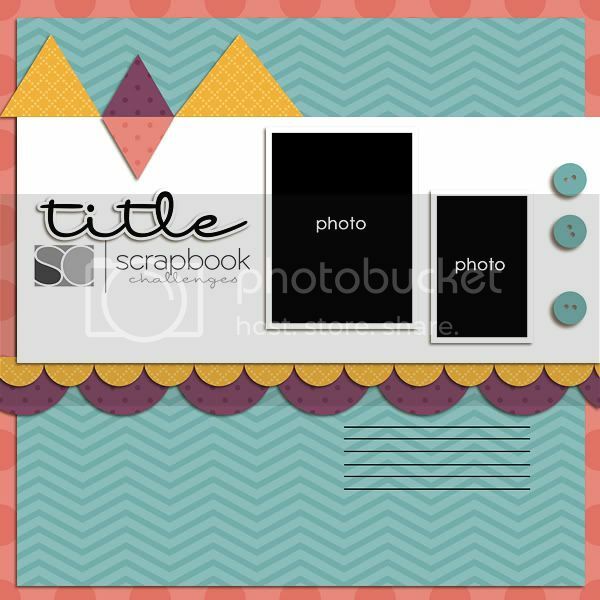 I hope I have inspired you to play along and make your own layout with triangles and while you are at it, you can upload them to the May Shape/Punch/Die challenge forum over at Scrapbook Challenges. 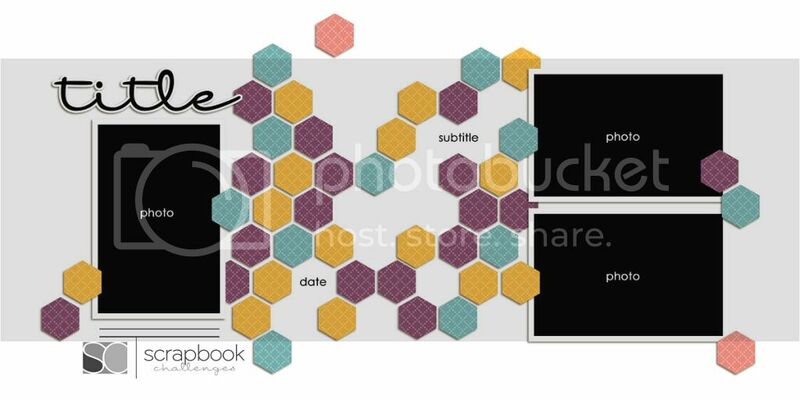 Thanks for visiting my blog and have a wonderful and hopefully creative day! I am a strong believer that everyone can benefit from therapy. 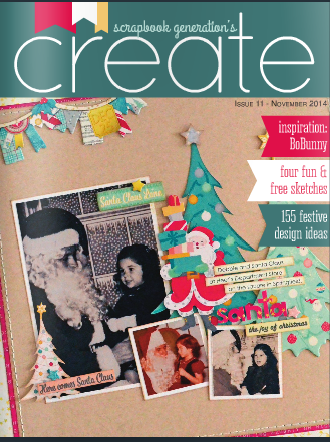 I also believe that being creative and taking time for a hobby is great therapy. 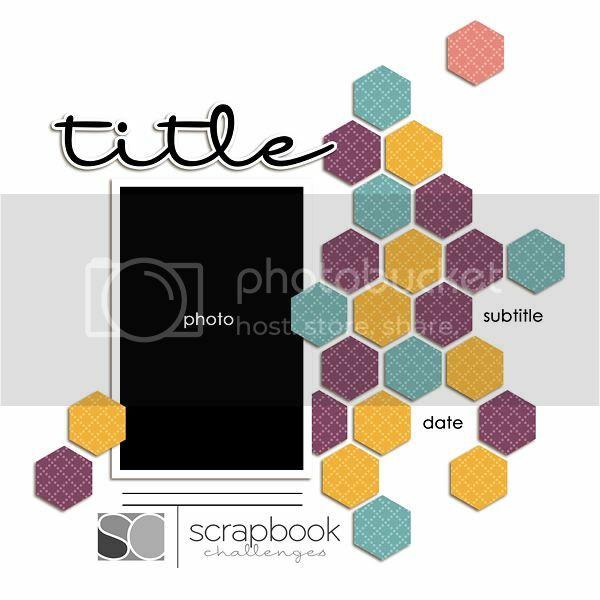 With that being said, I also believe that people that are very ill, both mentally and physically and also the terminally ill can also benefit from scrapbooking. 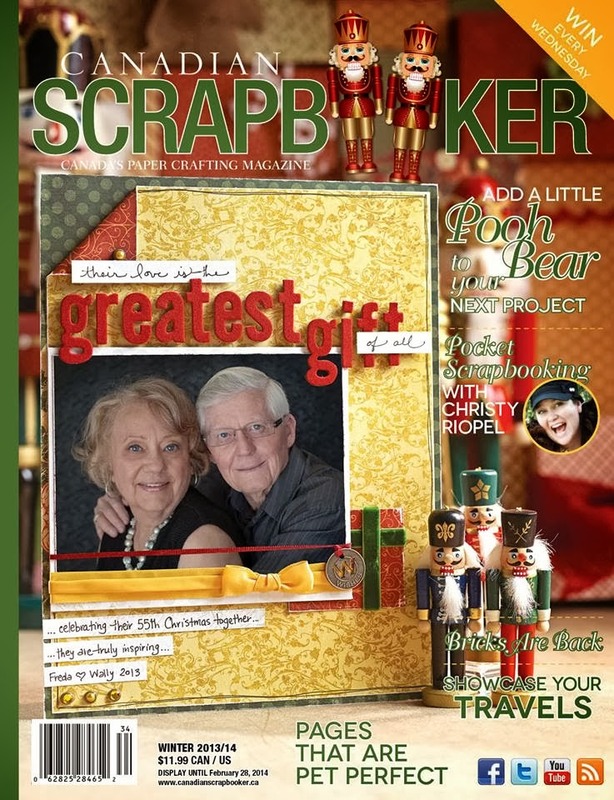 Recently, I was contacted by Melanie Bowen, a staff writer for The Mesothelioma Cancer Alliance, asking if I would be interested in sharing her article on my blog and I was more than happy to help. 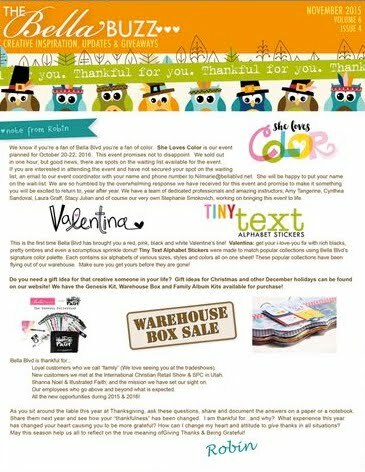 In the past, I have supported and been involved in fundraising for my local children's hospital with the hospital's therapeutic scrapbooking program. 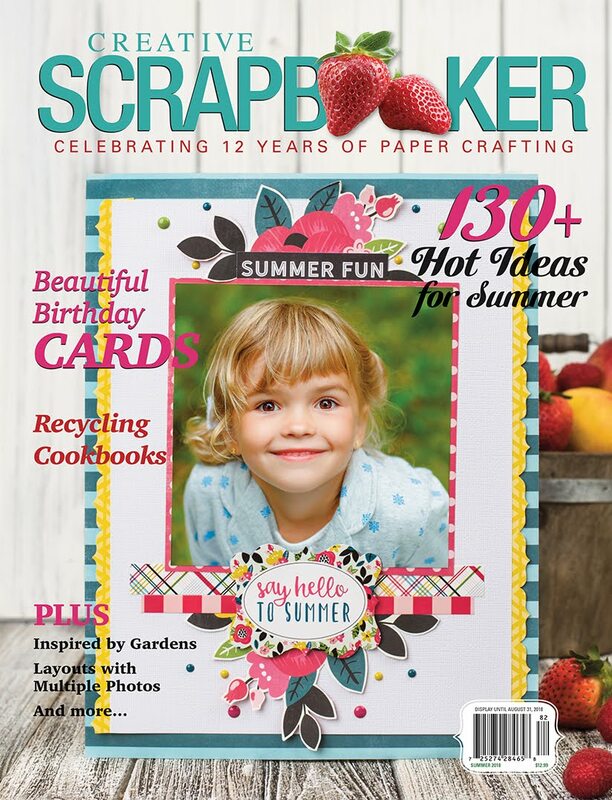 Also, having a daughter that had a serious accident that caused both physical and mental trauma, made me realize how scrapbooking is good for the sick children as well as their parents. 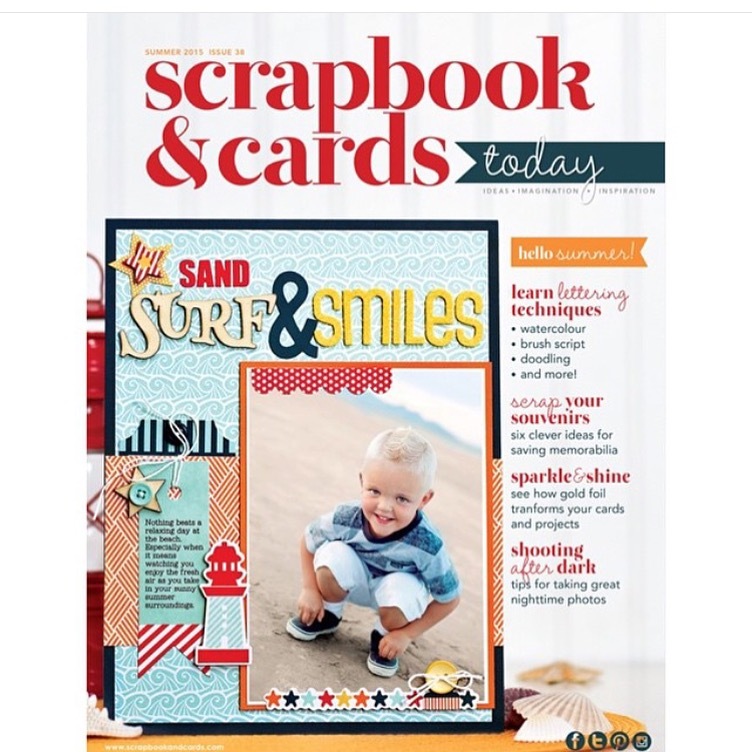 I am passionate about scrapbooking and my number one goal is to share scrapbooking with others and to inspire and encourage everyone to try scrapbooking as therapy . 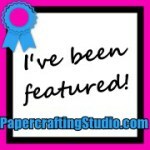 It is my way of giving back to the community and the scrapbooking community. When do the sick lose their inner voice? Illness is a constant battle within our bodies. We take care of ourselves as best we can by eating right, sleeping right, and exercising when and how we can, but we forget to afford our mind the same crucial care. A person is more than muscle, blood and bone. A person has a mind, dreams and emotions. When we get sick, we often put these pieces of our humanity aside, and in doing so, we lose our inner voice. There is no better way to find your voice again than creativity. Creative ambition can give us the chance to not only find our voice again but also reignite our passion for life. Illness can sap your drive to do much of anything, but creativity can light a fire within you. It allows you to set personal goals for yourself and give you the thrill of accomplishment. Creation is a self-motivation powerhouse. After all, the whole point is to love what you are doing. 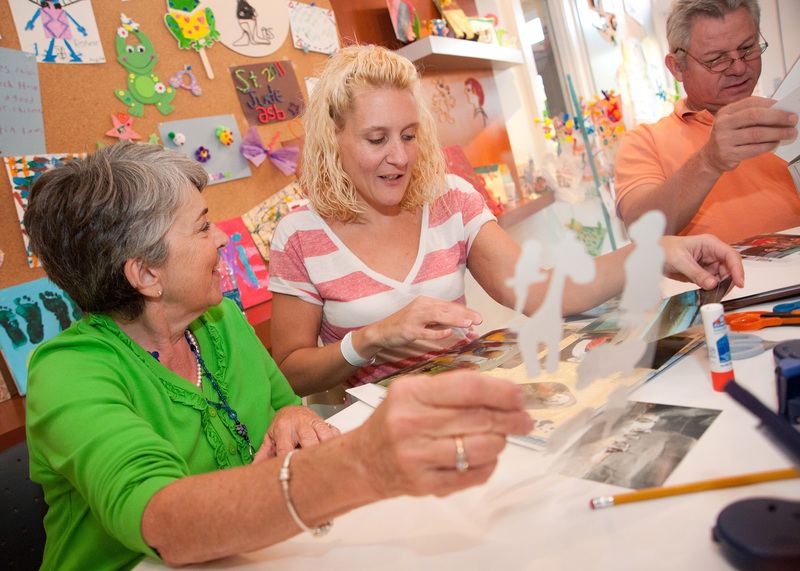 Art therapy has even been found to lessen symptoms of diseases like Alzheimer's and reduce pain. You may surprise yourself with what you are able to accomplish and how good it makes you feel. While we may choose to share our expression with others, we can never be wrong in what we create. Creativity offers us an outlet to express anything we are feeling, positive or negative, with honesty and without judgment. This honesty allows us to release anxiety, cope with stress and find ourselves within our pain. There are no doctors in creativity. There are no family members to fear disappointing, and there are no chores that must be done. It is a place that is yours to do with as you please and discover facets of who you are. It does not matter if you are facing a mesothelioma prognosis or the eternal exhaustion of chronic fatigue; there is always a creative path open to you. Photography allows you to bring the outdoors inside with you and helps you appreciate the smallest aspects of life. 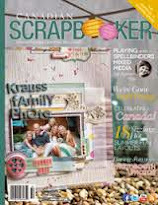 The bed-bound can reconnect with their family through scrapbooking. Do what feels right and makes you happiest. You are not limited to paper and yarn. Try singing or playing an instrument. Gardeners may find peace in creating a healing garden. Most of all, do not be afraid to reach out. 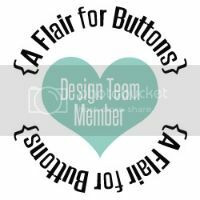 There is an abundance of blogs out there that offer not only ideas but also a forum to connect with those like you who are seeking healing through creativity. Hobbies are also support systems in and of themselves. There is a club for practically every hobby imaginable. You only have to look. Always remember to stay true to yourself. Ignore the critics and be proud in what you have created. While the road may uncover difficult emotions, you will be able to express them elegantly with creativity. Never be afraid to try. 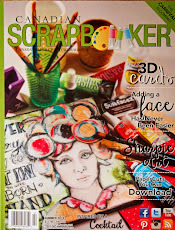 I have a new sketch to share from Scrapbook Challenges with all you scrappers out there who would like to kickstart the creative juices and get out of the scrapping rut. 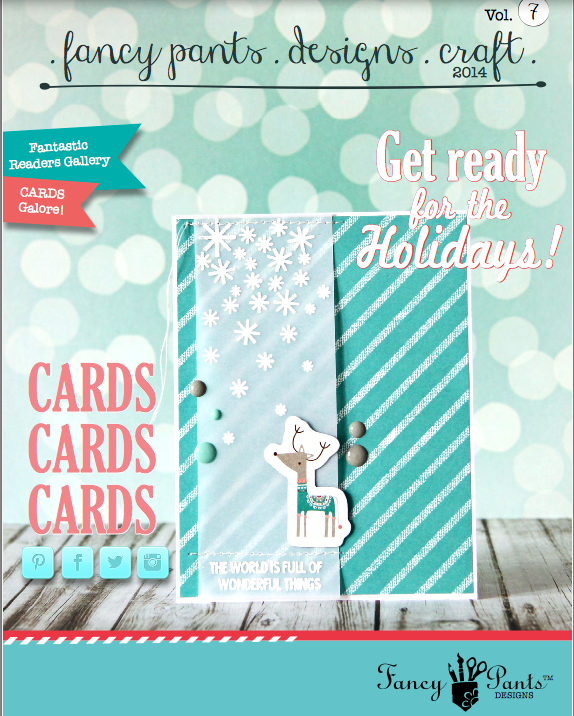 Take your pick and use the single page layout, the double page layout or both. 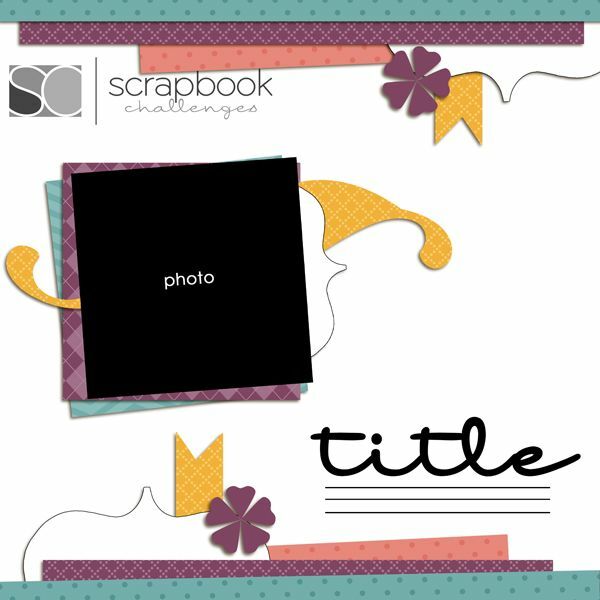 After you create, feel free to share in the gallery and the Sketch #293 thread on Scrapbook Challenges. 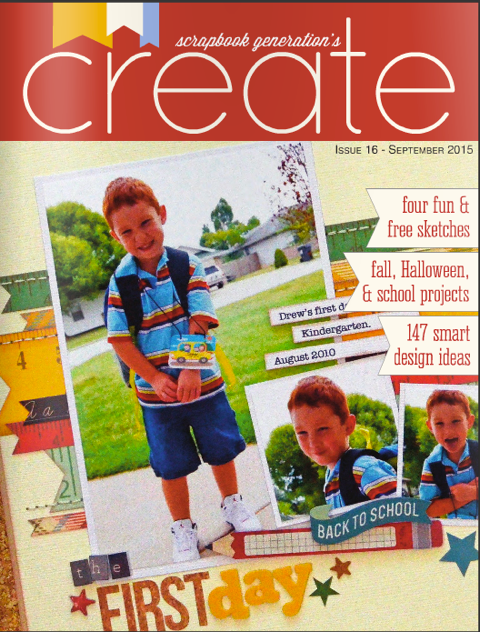 With this particular sketch, I chose to do a little boy layout. Bazzill isn't only card stock, it now has patterned paper and I fell in love with this little boy collection called "Dino-mite". 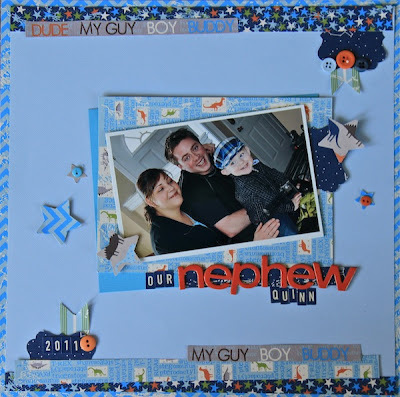 My daughter and son-in-law bought a little quad for their nephew Quinn last Christmas so I thought it was a nice change to create a little boy layout. Secondly, this week I bought a photo scanner. 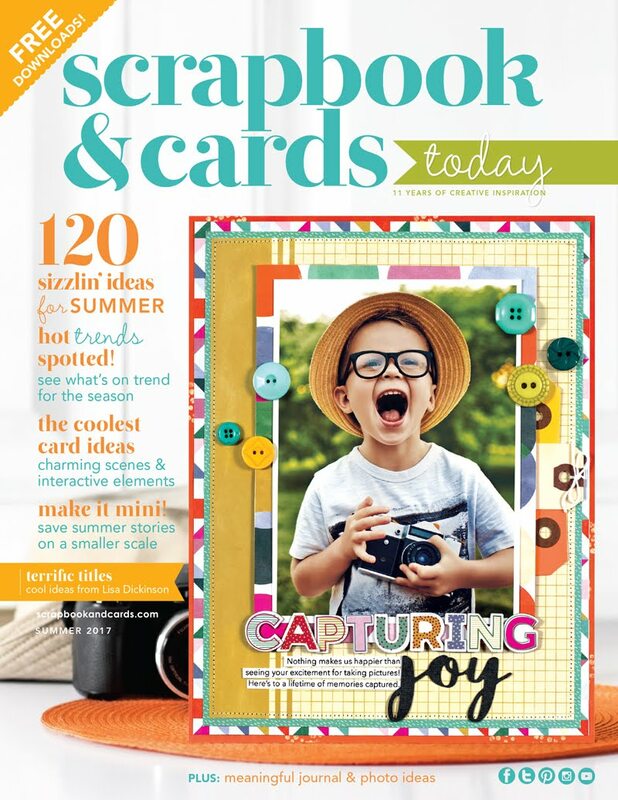 I am so excited to play with it and now I can scrapbook a lot of old photos of my two older children as I just have originals for these and no negatives. I have heard great things about the Epson V600. 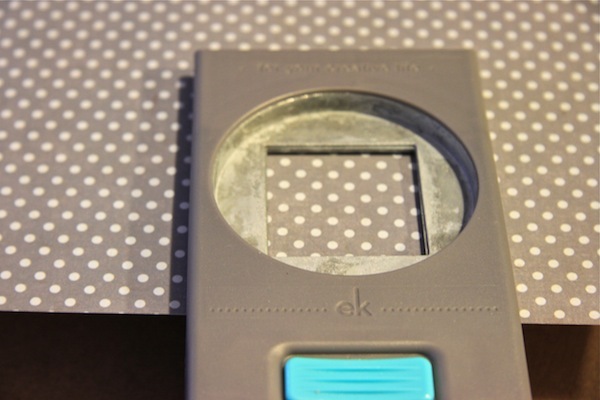 It scans photos, slides and documents and it even came with Photoshop Elements! It has ICE technology. 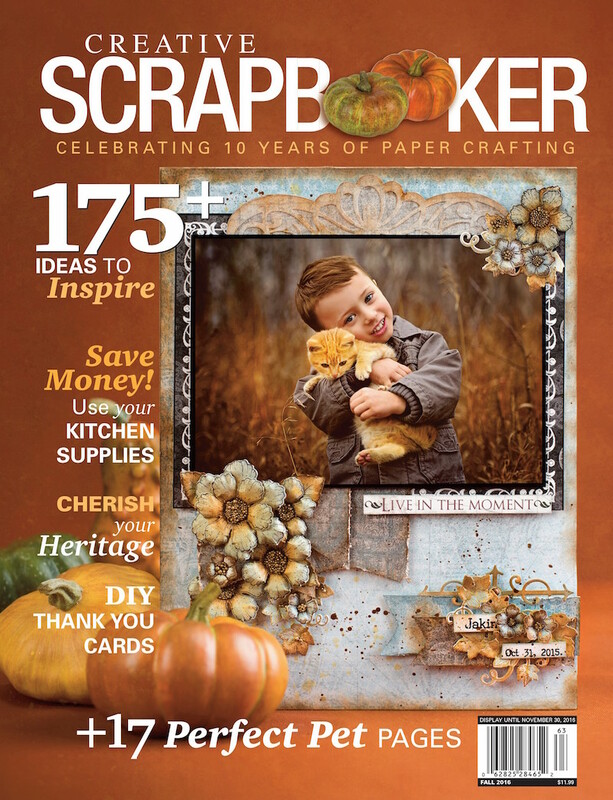 It will take the cracks out of old photos and spruce them up better than new. Well that's an update of my week. Oh, I just about forgot to mention about another great thing to share this week. 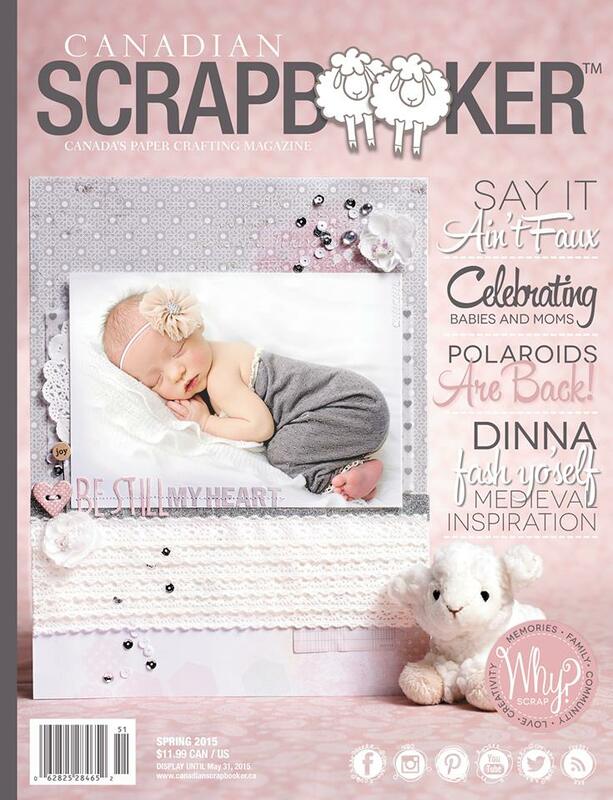 Canadian Scrapbooker Magazine has some great contests. 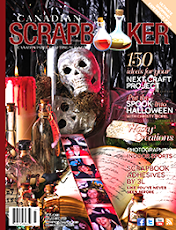 It must be my lucky year as I have won a lot of prizes from this fantastic magazine on their photography challenge, and Why Not Win Wednesdays. 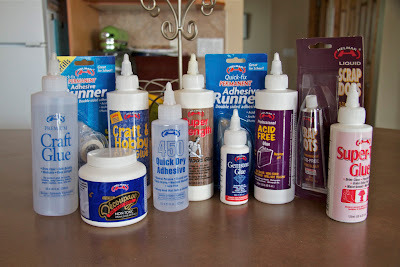 To date, I have won a prize pack from 3L Adhesives (the photography challenge), A Sony Digital Photo Frame and Printer and yesterday an awesome prize pack of Helmar adhesives. Their Liquid Scrap Dots are amazing! Have a great day! 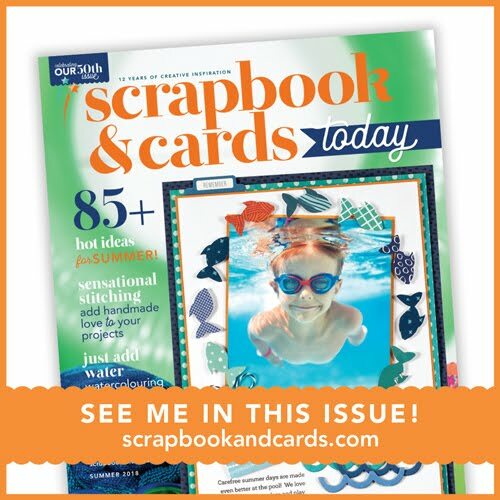 Don't forget to join me and the entire design team over at Scrapbook Challenges this coming weekend for National Scrapbook Day. We will be having some games, challenges and prizes.